ABLE Instruments offer Sitrans FUP1010 clamp-on non-intrusive ultrasonic flowmeters, with maximum versatility plus battery power for portable field use. It can operate in either WideBeam transit time or Doppler mode, making it suitable for virtually any liquid. 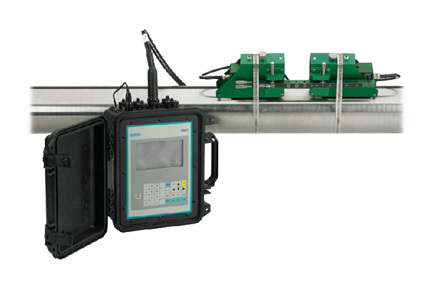 Sitrans FUP1010 is ideal for general flow survey work where high accuracy is required. It is being offered in single and dual channel/path configurations in a weatherproof enclosure. The portable meter is also available as a pre-configured Water Check Metering Kit for the water and wastewater industry. Application examples include raw and potable water, sludges, mixed liquor, hot and cold water systems, thermal energy and batching.